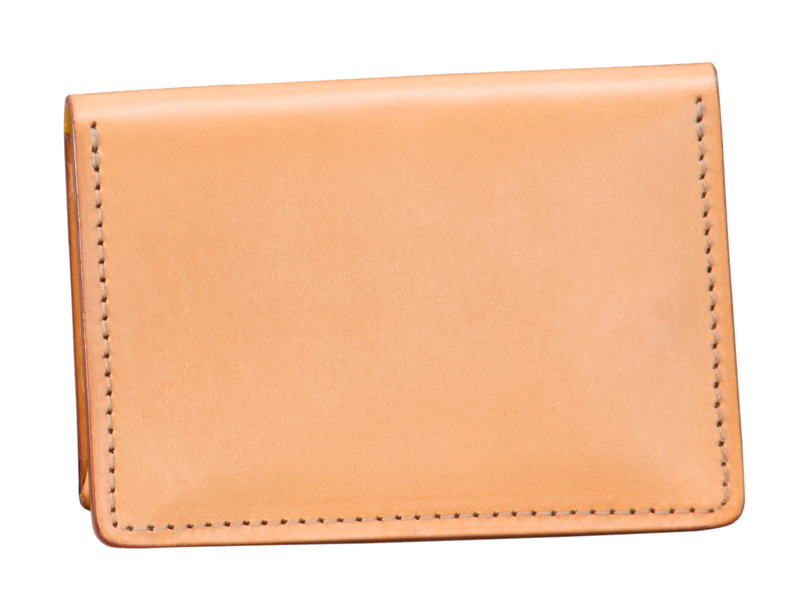 Holds approximately 12 cards and minimal currency. 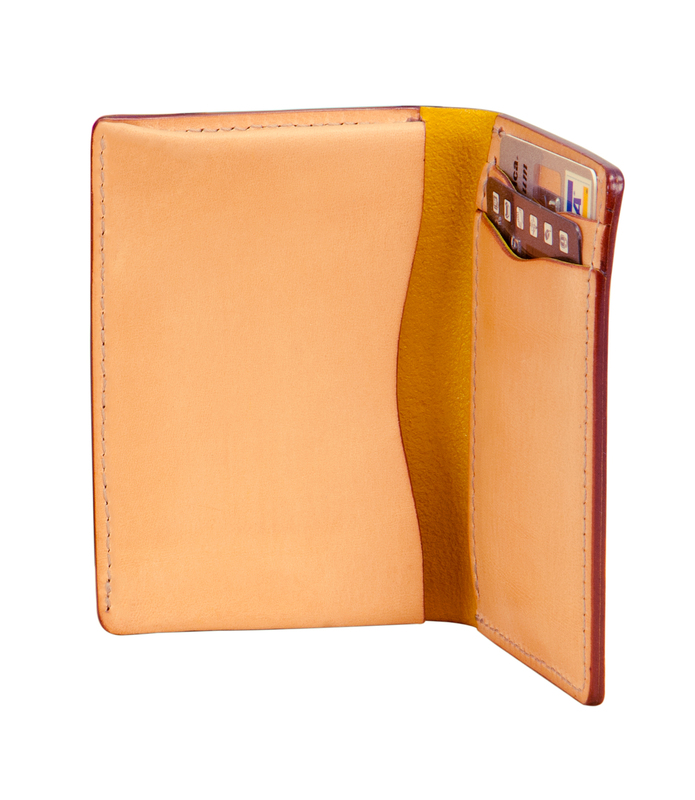 Compact and durable, the five pocket card holder’s pockets form to their contents. 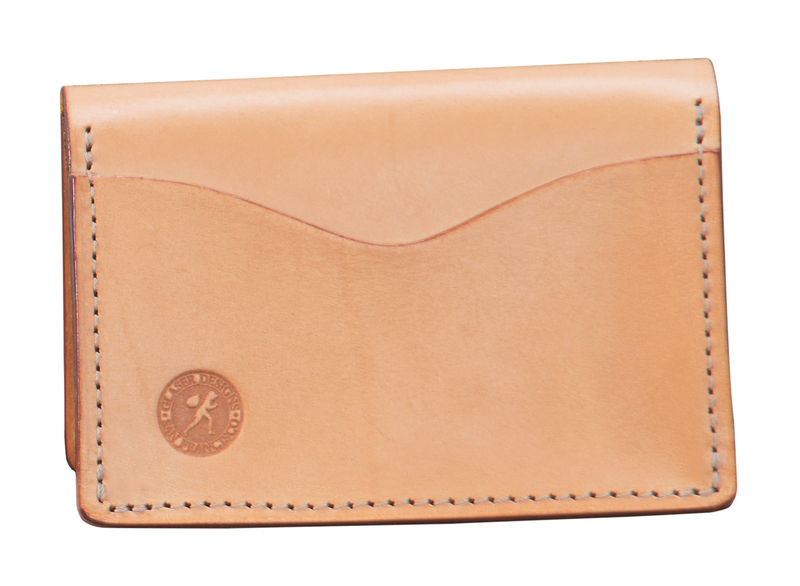 The leather darkens toward a saddle-brown hue.